Bud Juice triggers flower production, increases flowering sites and can increase yields by up to 40%. 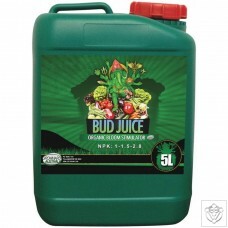 Bud Juice increases floral development and increases essential oil production significally. Coverdrive increases nutrient uptake and accelerates cell explanation and replication in larger flowers. 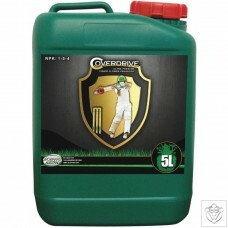 Cover drive also increases resistance to drought, heat, stress, disease, pests and end-stage exhaustion. 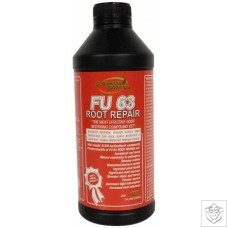 FU-63 restores roots to a healthy state while also increasing overall root mass. FU-63 strengthens cells and maximises resistance to pathogens. Contains a special formula precisely designed for the heaviest harvest. A unique blend of organic enzyme activators, vitamins, essential amino acids and carbohydrates that will unleash the full flowering potential of yoru plants. Liquid Lead optimises harvest weight, promotes vigorous growth, enhances flavour and taste and increases health of flowering plants. 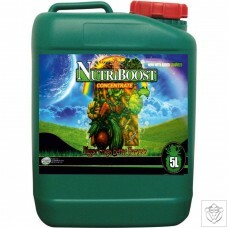 Nutriboost is a combination of Vitamins B1, B2, B6, B12, A, D, E & K. These vitamins have growth promoting properties that increase cellular activity. Now with added seaweed to further increase speed of growth. 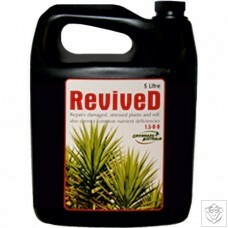 Revived helps your plants recover after a period of stress caused by such things as; Over or under watering, disease, transplant shock and infectations.